CEJA and DeLaval announced a collaborative agreement at EuroTier, the world's leading trade fair for animal production in Hannover, Germany. The organisations initially worked together on a report titled “European Young Farmers: Building a Sustainable Sector” that was successfully launched during a conference at the European Parliament in September 2017. “By signing this partnership agreement here at EuroTier, a key event for the EU livestock sector, DeLaval is making a strong commitment towards the young and future generations of EU farmers. As CEJA and DeLaval, we find each other through our belief in innovation, our search for sustainability and the long-term approach in everything we do,” said CEJA President Jannes Maes. The collaborative agreement will continue into 2019. 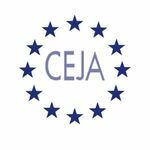 DeLaval is one of the principal sponsors of CEJA’s 60th anniversary celebration that will take place in Ypres, Belgium, on 4 December 2018.